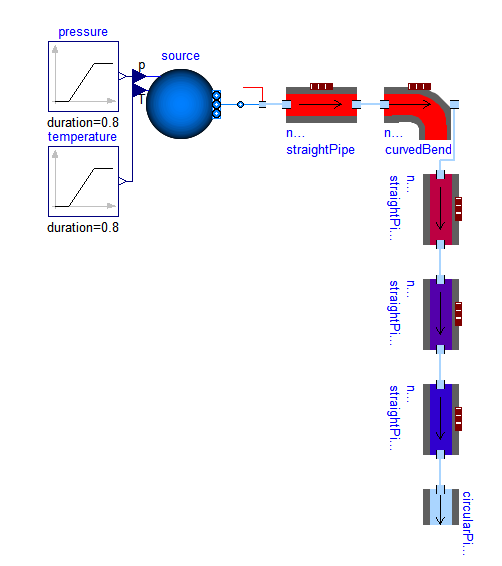 DynamicSelect is a feature which allows the user to dynamically change aspects of the model during simulation. The first argument specifies the value of the editing state and the second argument the value of the non-editing state. The first argument must be a literal expression. The second argument may contain references to variables to enable a dynamic state or behaviour. Figure 1. Tank fill extent dependant on fluid level. Figure 2. Pipe fill colour dependant on fluid temperature. Figure 3. 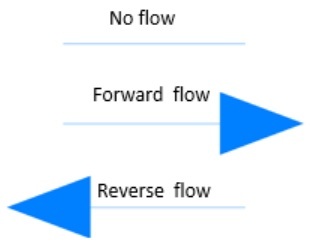 Arrow direction dependant on fluid flow direction.